Have you ever dreamt of walking through a short trail and arriving in front of a lovely waterfall? Well, it’s possible at Whiting Bay! 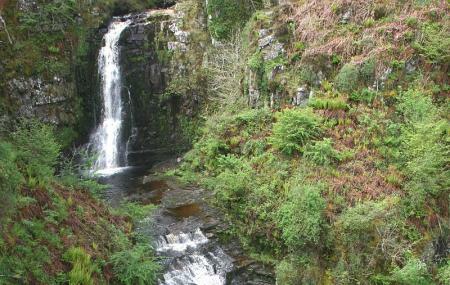 The short walk from the parking lot to the Glenashdale Falls is once in a lifetime experience. The falls has a height of 130 feet and it is magnificent. The path may be a bit steep and inclined but with your first view of the waterfall will make you forget all your hardship. There’s a new cafe opened near the parking area from where the walk starts. This spot is worth for a picnic and if not that you can just relax here. The total distance of the trail is 4.7 km or 3 miles and it takes almost 2 hours to complete it.